Here's our last hurrah for summer gone by, roughly translated, "huling sigaw sa tag-araw." Check out Magnolia's Best of the Philippines Ice Cream Collection. They're still available in various malls nationwide even if it's already pouring (and even flooding) in some locations like Metro Manila and in the provinces too. 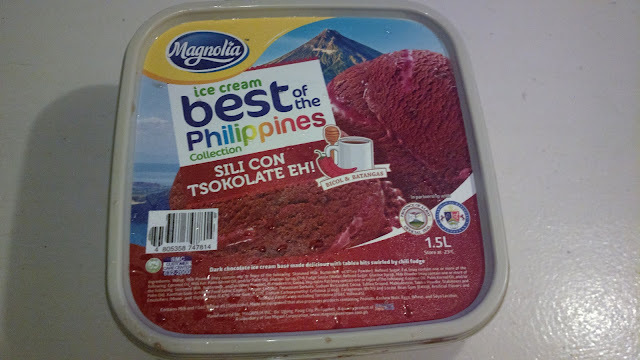 I've had the chance to try 2 flavors from this collection; the Sili Con Tsokolate Eh! and the Macapuno Langka. My first thought on chocolate with chili twist was disgust. I was thinking that it will be a disaster. But it wasn't. It actually tasted delicious! The chocolate flavor is overpowering the spiciness so you won't taste anything from the sili. 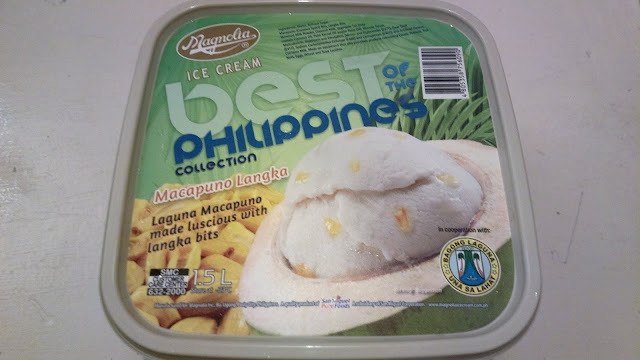 Another flavor I've tried is the Macapuno Langka, specifically macapuno from Laguna with langka bits. For the rest of the flavors, head over to the Best of the Philippines (by Magnolia) Facebook page.